Sometimes you just have to memorize and meditate on the good news loops out of obedience in order to start to make the correct synapses. Memorize it, and then repeat the good news to yourself over and over. 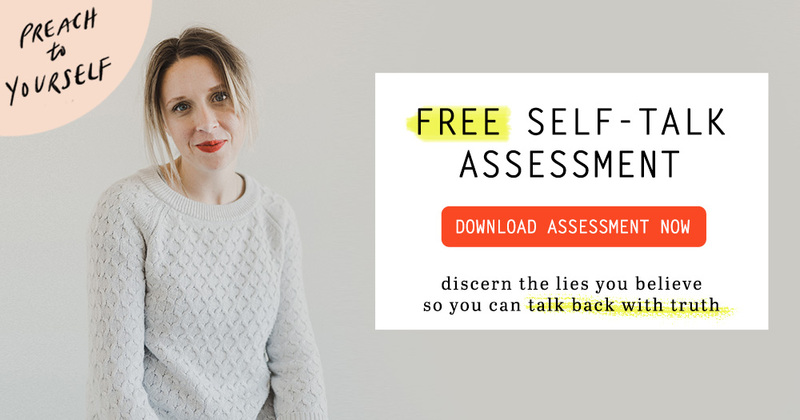 I’ve realized that the three kinds of false belief—I can’t do this, I’m not enough, and nothing is ever going to change—can all be combatted with one simple addition. When we flip the script and add “with [or in] the Lord,” we’ve got short, memorable truth at the ready. The Lord is truly the answer. Memorize whatever version that gives you the truth you need. Write it on your mirror. 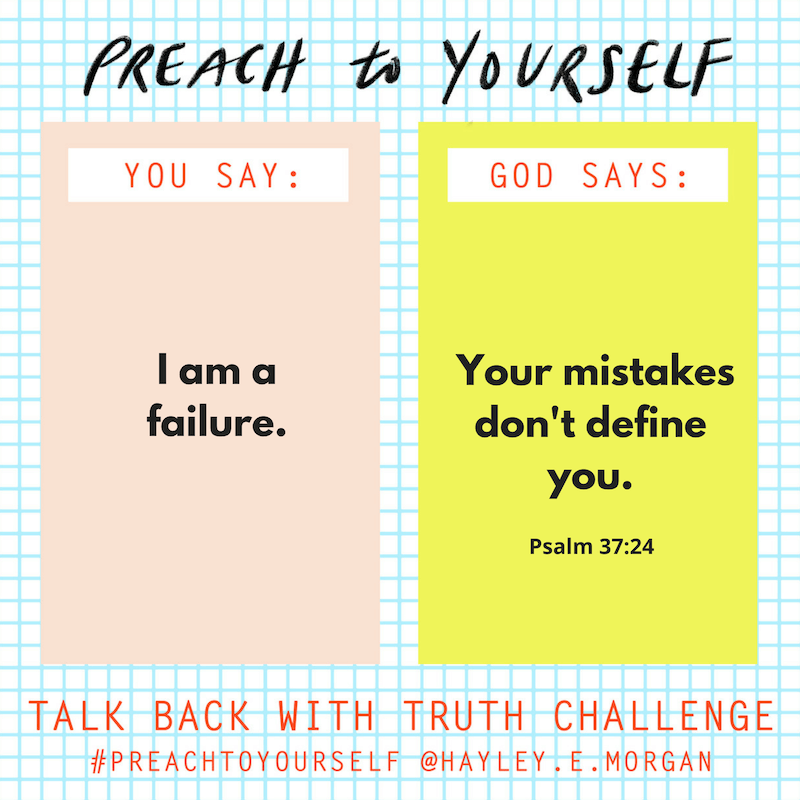 Put Post-It notes on your cubicle wall [or tape the Talk Back with Truth Scripture cards to your fridge]. Put it to the tune of your favorite song. You don’t need wildly innovative methods, just memorable ones. Dr. Norman Doidge, a noted psychiatrist and researcher, writes, “Neurons that fire together wire together,” and “neurons out of sync fail to link.” We want distance between us and the bad news loops, and we want to keep the good news close so it becomes an integral part of the way we think. There is a modern Western idea that if we just know more, we can be powerful and change more. But I’ve found that the idea of knowing more doesn’t do much if we’re not meditating on Scripture and letting it sink deep into our bones. 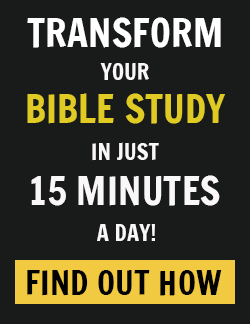 It doesn’t change anything to just know the Bible; we must chew on it every day and let it change us. Obedience cements our understanding. 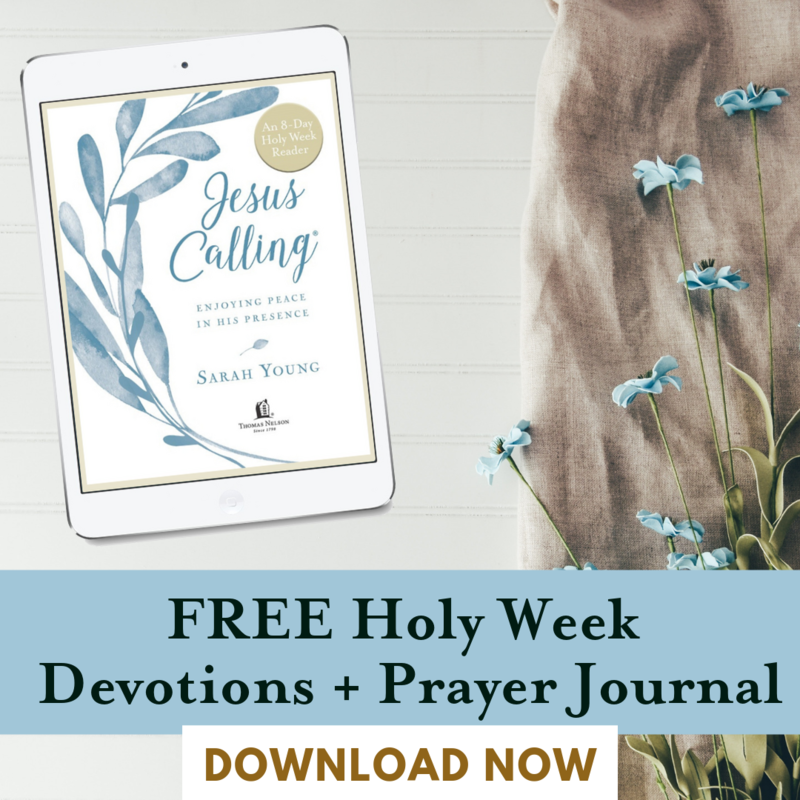 Scripture offers these tried and true ways to sustain us in our fight against the bad news we tell ourselves—news that is no match for the good news that Jesus offers. Instead of letting your mind reflect the state of your day—noisy, rushed, harried, discontented—renew your mind. Keep it fixed on what you know to be true: with Christ you can do it; in Him, you are enough; He is powerful enough to bring about change in any life or situation. Retune the songs you sing to yourself, and He will change your mind over time. It won’t be fast, and it won’t feel perfect or steady all the time, but He will make that change. Once you hear and acknowledge your false beliefs, you need to become adept at grabbing them out of the chatter in your mind and holding them up to the truth you know. You flip the script and say it back to yourself. You can’t just hear the false beliefs and let them go. The apostle Paul in 2 Corinthians 10:5 challenges us to grab those thoughts and make them obedient to the truth we know. This is another way we can embody truth as we obey it. As we align our thoughts with Christ, our very brains change biologically. We have a protector in the Lord. When we are actively praying throughout the day, we are in tune with the truth that He will guard our minds. He will keep them from running off course, especially when we are thinking about pure, noble, right, true, lovely, and admirable things. 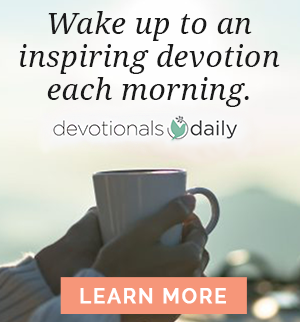 This isn’t positive thinking in the do-it-yourself, “fake it till ya make it” kind of way, but it’s keeping our minds fixed on the beauty of God. When I think of how beautiful my little boy’s eyelashes look when he sleeps, it’s hard to entertain the thought that I am failing as his mom. When I think about the pure loveliness of a sunrise, it’s hard to imagine a world where God doesn’t make things new. Somehow our natural world reflects and reminds us of the spiritual truth of God. When we are constantly beholding the beauty of His world and His people, it is difficult to also entertain false beliefs. When I was in high school, even before I actually came to follow Jesus myself, I was in a youth group small group that studied an old book called The Green Letters. The book was not light reading by any means, but the archaism of the language helped it stick somehow. The author, Miles Stanford, wrote letters to other believers, and when collected, they became a little primer of the Christian faith. Stanford wrote a lot about the new self and the old self. It was confusing to me as a fifteen-year-old, for whom the idea of an old self would have been new. However, after weeks of studying, I began to see more clearly the idea of an old self. We need to keep putting off the part of us that is apart from God. We need to keep taking off the part of us that is set on our own ways. In this, we are made new in the attitudes of our minds. So we need to humble ourselves every day, submit ourselves to God, repent of our wayward independence, and decide again to throw off the part of ourselves that desires its own way. The fruit from that pursuit, the pursuit of being clothed only with Christ, will be a renewed mind. It can be easy to think that this verse is simply reminding us to not think about sinful things. However, I believe Paul is also imploring us to take our eyes off our perceived earthly limitations. When we believe that we can’t, we aren’t, and we won’t ever be, we are disbelieving the very truth about God. God says in Jesus we can and in Him we are, and it is only in Him that we have hope for all that will be. This is perhaps the most difficult instruction of all. I am a fan of projects, and fits and spurts and never-ending propositions stress me out. But the way of God is a steady faithfulness on one path. This path is narrow, but it promises abundance. This is the part that takes lifelong steadfastness. We need to stay on the right paths we make in our minds. When God rewires our understanding, we need to stand firm and refuse to go back to the old and easy ways. If we stay on the path God has commanded us to follow, we will see His fruits. This treading of the new paths is faithfulness in the moment. It’s faithfulness to do hard things. It’s faithfulness to believe this work is beneficial. You can do this. You were made for this. You renew your mind, and God will transform you. You renew; He transforms. The pressure is off when it comes to the results. It may not look like you expected, and it may not be immediate. But the changes will be there. You just need to do the daily hard work of walking down the path you know is right and true. It is only this daily faithfulness that will leave you with a mind and a heart you didn’t know was possible—through your work and with God’s strength. 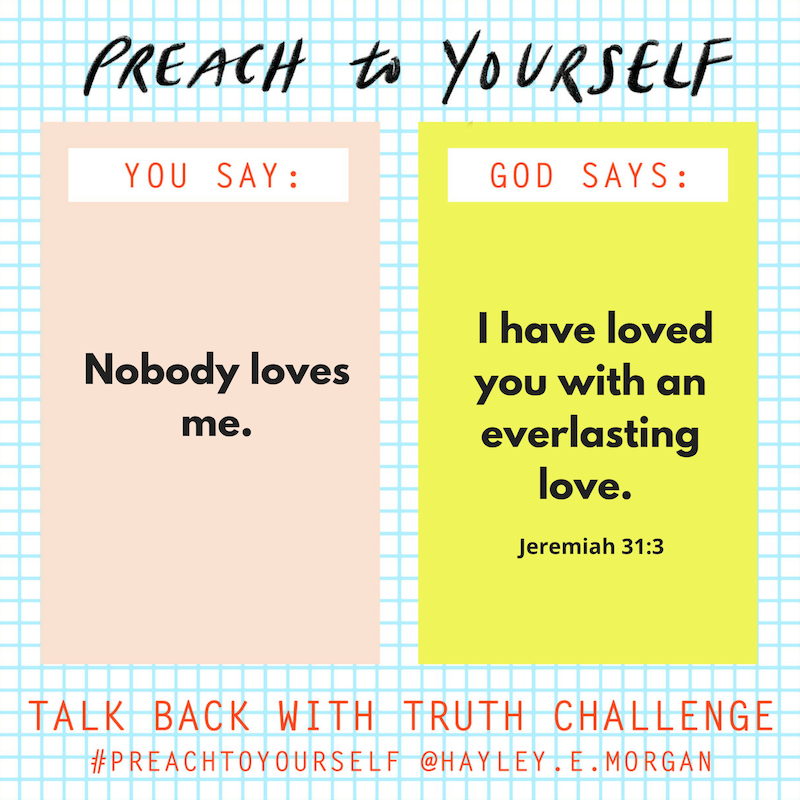 Excerpted from Preach to Yourself with permission from Hayley Morgan, copyright 2018 by Hayley Morgan. 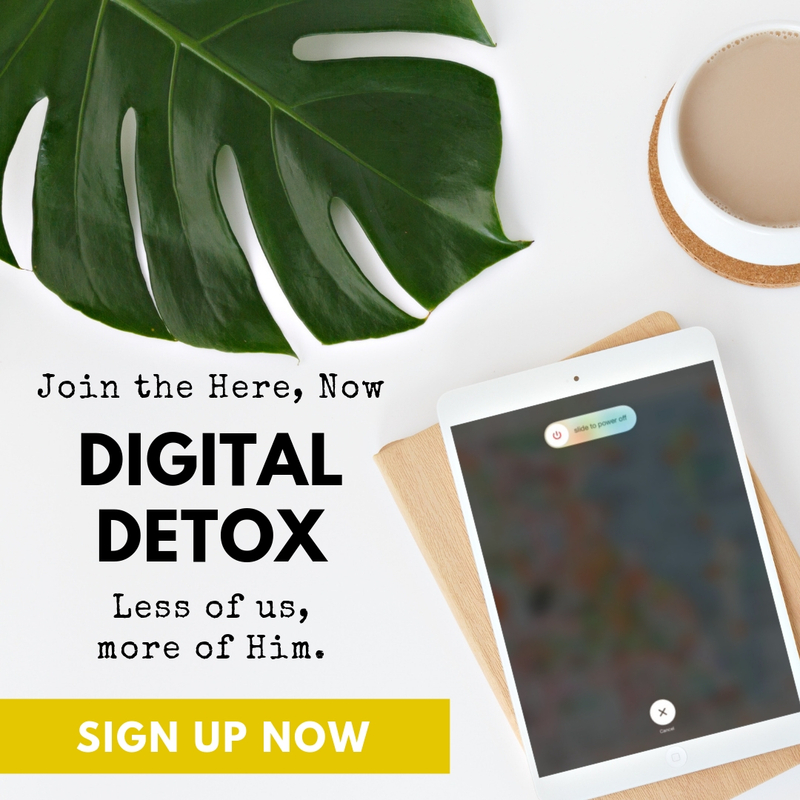 Are you ready for that kind of life change? 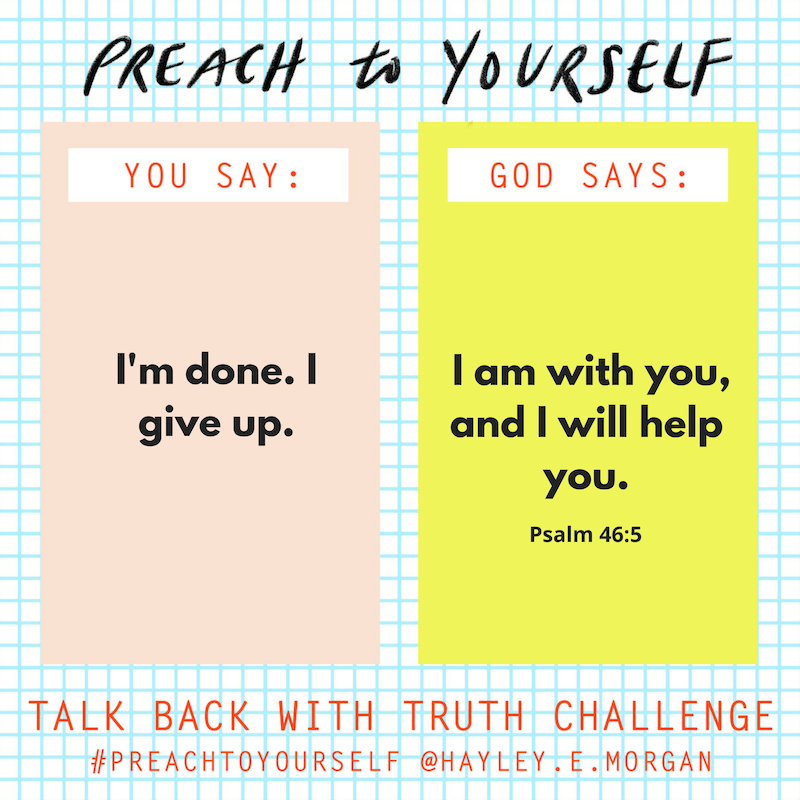 Join the conversation on the blog as we get ready for the #TalkBackWithTruthChallenge starting in 10 days!